Welcome New Bee! 2019. Ecourses coming soon. Whether you’re excited, overwhelmed, beyond scared or beaming with confidence, we’re delighted that you found our program, New Bee Homeschooler. Though this program is a work of our heart, the program is not about our journey. Because it is based on our many years of mentoring new homeschoolers, it is a quick guide for learning what is essential. Because we have a soft place in our heart for new bees, we give you veteran tips based on our thirty years of combined experience, which you need now. New bees tell us that our program can fast-forward you down the homeschooling road with knowledge and confidence worth five or more years of experience. But more than that, you will avoid some of the pitfalls and stress we encountered. It’s our desire that your first years of homeschooling be memorable for the right reasons. Each outline contains only key words or phrases so that you have more than enough space to jot down your handwritten notes in between lines as you listen to the accompanying audio. While listening to the workshops, please bear with Tina, as her outlines are twice as big as the outlines in this manual. Her outlines contain words of wisdom and reflections of her own individual experience that she feels committed to share. Don’t miss those added tidbits. Too, from our many years of working with new bees, we know you have concerns now; probably the biggest one is curriculum. But we want to assure you that homeschooling is so much more than choosing curriculum. The workshop topics are arranged in an order that you will encounter them in your new journey. As tempted as you are to skip ahead, you’ll maximize the program if you follow our lead by listening to them in the order presented. 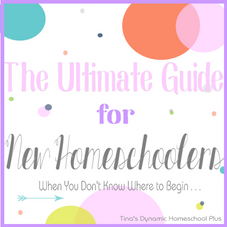 It can take years to find out the ins and outs of homeschooling, but we don’t want you to wait that long. Our program is designed to give you a beginning point to finding the answers that you need. Enjoy the journey. Jot down notes, take pictures of your new beginnings and breathe! 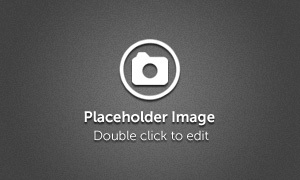 Unless stated otherwise, all images, text, or other content posted on this blog belong to Tina Robertson.You are welcome to link to this blog or use a single image and a brief description, as long as you include a link back to this blog. You may NOT republish posts in their entirety without my permission. Please do not link directly to pdfs that is rude. Link to the page instead. Please do not repin pictures of my children. I would prefer that I do that so I can keep up with where they are at.